Cette monture se drop à 100 % sur Nok mais attention il n'est pas attribué en loot personnel mais en groupe , pour être plus clair il n'y a qu'une seule monture par Nok tué . Choisissez bien vos alliés pour farm ce boss autant de fois que le nombre de joueur qui vous entoure . Will most likely be a drop off of Nok-Karosh although there is another npc with the same name as the mount Garn nocthurle. They (the wolves) can both be found in Crête de Givrefeu. I am saying most likely, because the name could be a placeholder and end up being called something else or coming from another source. Just killed him with 15 friends and used Garrison Abilities and followers..Puba won the roll and it seems it only drops 1, which is total Bull, so many people raged at me :I I hope we get 1 each in mail or something or this would be the biggest waste of my time. This wolf is one of 7 new rarespawn related mounts. Warlords of Draenor adds 6 variations of wolves, with this being an unarmored black version. A single copy of this mount is a 100% drop from Nok-Karosh and must be rolled for. The 7th, Nok-Karosh, is unique in that only 1 Garn nocthurle drops from him. The mount is unbound, meaning it can be traded or sold on the auction house. Garn nocthurle Drops from Nok-Karosh. Grand grisebroche is received from killing Gorok. Étalon sabot-de-sang is received from killing Nakk the Thunderer. Foule-prairie tacheté is received from killing Luk'hok. Gronnlin peau-solaire is received from killing Poundfist. Potamodonte saphir is received from killing Silthide. Trotte-brise rapide is received from killing Pathrunner. (Views in 3D) Wtf a horse? Blackrock Human riding a Garn Nighthowl! We're good buds. This mount is now BoP. One thing that adds some value to this mount is that he is a named mount! A quick scroll through your mounts will show that this is fairly rare. They really need to fix this one. People ninja loot it because they can change to PM mid fight. People repeatedly join groups even if they have it because their only intent is to sell it. It was unbound, bop and now unbound again? It would be better for everyone if they keep the respawn time the same but make it BoP so you can't sell it and thus stop the behaviour from people trying to win multiple mounts for gold, especially because if the respawn time stays so short it even defeats the purpose of making it not soulbound. Just killed it twice. It spawned back to back. Got 1 mount for the whole raid each time. It is BOE. The adds can be CCed before you pull the boss. The boss 1 shots their targets (even tanks) and should be kited and zerged. If adds are not CCed they kill players too. Did it easily with 25-30 people with a mix of level 92-100. Graveyard is right nearby for a quick run back. If anyone is interested in this item it is NOT bop so you can sell it. I just bought it for 30,000 gold. Edit: A November 21st hotfix has been implemented to only allow players to roll greed on Garn Nighthowl, and Master Looter can no longer apply. This post is now somewhat moot, but this was sort of what it was like before the hotfix came in. As of the current patch, this mount is a Bind on Use item that drops from Nok-Karosh, a level 102 elite "boss" that currently takes a large group to kill (at this time, a whole raid is usually used). He is not considered a "rare", as he has no silver dragon portrait, and he spawns shortly after being killed. He (she?) is surrounded by level 100 Nighthowl wolves, lying down in the snow between many trees, far west of Bladespire Fortress, due north from Wor'Gol in Frostfire Ridge. The mount he drops is 100% drop rate, but his loot is not personal-- only one mount drops for every group. Yes, that's right: you must roll on the drop with everyone in your group. As far as I know, this mob does not share a tap with people outside of the group, so only people in a group together can tag this mob and get their chance at loot. That is, you would, if it weren't possible for the item to be ninja-looted. The raid leader can set himself as Master Looter, and take the mount when it drops. There is nothing that says he cannot do this. There is no prompt to roll if someone is the Master Looter. With the way things are set up right now, this mount can not only be ninja-looted, but sold, as it is currently Bind on Use. Unlike with loot in the rest of the game environment, this mount does not drop on a personal loot system. Before, I was under the assumption that he spawns immediately after being killed, but he does, in fact, have a spawn timer: approximately 30 minutes based on average claims. I'm not sure of the exact time as of yet. This makes the possibility of repeatedly taking the mount more unlikely, which is good. You could argue that someone who continued to do this will eventually never obtain a group again based on reputation, but people will still run with them thanks to Premade Finder's accessibility to cross-realm groups. It's just not as easy to spread word to everyone anymore, since Blizzard has made our world so much bigger, which is a good thing in the long run... just not in this case. The idea of this mount drop is similar to that of the Darkmoon Rabbit pet. However, the exception is that Darkmoon Faire is only available a week out of each month. Whenever one was for sale on my realm, it was for extreme prices of around 100k. Most of the time, it was up on the AH for a couple of months, or never sold. As of right now, the time it takes to sell a rare and expensive mount to anyone is the only deterrent. Since it might take a while to sell one (especially more than one, and on a medium-to-low pop server like mine), people will drop the price to an insane degree to get rid of it. You can either look at this as good or bad. Mounts are extremely valuable cosmetic items. 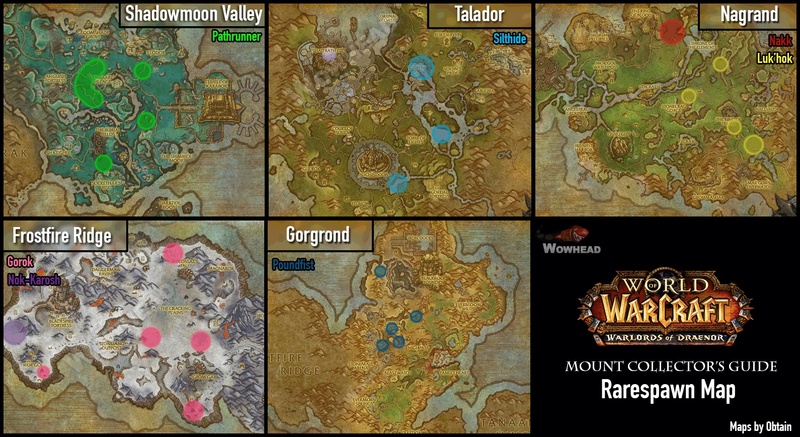 As of today, ten of these mounts are up on the AH, which started at 120k-ish and dropped to 40k. I'm guessing the price will continue to drop as more people get them. Update: Price of mount on the AH dropped down to 10k in less than a week, and about 10 of them were on the AH. There were Crimson Deathchargers on the AH as well going for 20-50k. This new wolf mount is worth less than a Crimson Deathcharger (on my realm at least) thanks to the massive flood of them on the AH, likely from people just taking them and running to make a quick buck. They're worth about the same as a Battered Hilt from ICC heroics. -Do not join groups where the loot rules are not set. If the leader does not state the loot rules, anything goes. He can take whatever he wants from you, or anyone else, and will never receive a punishment. The only time a ninja-looter can be reported is if he states the loot rules and breaks them (for example, says "everything free roll" then ninjas something). Always determine the loot rules first, and if they refuse to tell you what they plan to do, leave. -Start your own all-day free-roll groups. If you're the leader, you can't get ninja'd from. Just keep your own loot rules fair. -Report anyone breaking loot rules. If you get into a group that says "mount is free roll," or a list loot group that says "going down the list based on who joined" and they take it and disband, they can be punished if they take it for themselves in the end. -Get friends and guild mates to do a few runs with you. -Don't be a jerk. You're not the only one who plays this game. As others have pointed out, and I've now been experiencing myself, there are people who run "list loot" groups-- where the mount is assigned to the next person down on the list based on who joined last. Of course, this method of farming the mount is extremely time-consuming (you have to budget your time well, because you could be in one of these groups for several hours-- and you must also have the patience to put up with the impatience of others who want their turn), but it guarantees it for you if you wait long enough. I have to be honest: I did not consider this an option of distributing this mount to people until I had seen other people mention it. I have to commend those who have the common decency to not only create these groups, but sit in them for hours on end (I eventually obtained my own mount in this way. I was in a group from five in the morning until two in the afternoon. We had someone ninja the mount from us one time and had to report him. Blizzard did respond to me and told me justice would be swift. Even if you're pessimistic enough to believe Blizzard won't do anything, reports on it should draw attention to the matter). When you look for a group to join on the Premade Finder, be sure to note the loot details. If there are no loot rules given for the group, don't join it. You don't want to risk it. In case anyone wants to know, the mount runs with the old worg animation, and not the fluid run of Spirit Wolves or the other wolves in Draenor. It still sort of hobbles with a slight limp. There are some improvements to the graphics/animation, but it does have the old run. After 6 groups of the mount being ninja looted with a last second ninja looter I couldn't believe it when Garm Nighthowl was put in my bags in a large group. If you are wanting to get the mount I recommend finding a group on the group finder and getting summoned over. Kill the boss and hope for the best. If it doesn't drop then when you get back to your realm see if he is up. Just from a new group and do it again. If it still doesn't drop then look on the group finder again. P.S. Don't use master looter. Share the love.Need before greed. If you have a group with a few death knights, it's pretty damn easy to kill. We have myself and a tank, don't glyph army, and the army will tank the boss for almost the whole time. is he soloable at 100? The mount itself has a similar model to the Kor'kron War Wolf and shares the same shaking idle animation and crouched barking animation, but the gait is much different and frankly all wrong. While the War Wolf has a sweeping lope run animation, the Garn Nighthowl has a nauseatingly bouncy run that reminds me more of a bunny hopping than a powerful wolf running. Think of the new male Night Elf run, only in mount form. hey can anyone tell me if the rumors I'm hearing are true about this no longer going to be a 100% drop rate starting on 11/18 reset day? I love the model, but the run animation is making me consider my old model wolves. It is the old run animation but much faster, making it bouncy instead of flowing. Respawn time ranges from 10-40 minutes. After 10+ kills I have concluded that leaving the adds that spawn around him alive reduces the spawn time to 10-15 minutes. Killing of the adds makes the respawn increase dramatically up to 40 minutes as the longest I've seen. Just got it yesterday, we were a group of 12 people all lv 100, with 2 DK. It has about 10 to 25 min repop. It takes about 1.30 - 2.00 min to kill depending on the dps. It hits hard and OS almost all classes even tanks. However DK army is perfect to tank it and the "Call to arm" from the garrison. Very important point is to CC adds so they wont kill your group. They can be trap, sheep, sap, etc. This mount is easy to farm and with the right strategy you can minimize deaths to as low as one. The way I've found that works best is to CC three of the wolves in front of Nok and then pull Nok to about the tree before anyone starts dps. Once Nok gets there have the entire raid pop the garrison ability Call to Arms and any death knights use Army of the Dead. Nok will munch these guys down before she starts munching your group. It also helps to lust on pull. Last night I was able to get 10 people their mount including myself using this method. The loot rule was everyone rolled need unless you had already won one, then you had to pass. Several people near me had decided to use a list system where the newer people had to start at the bottom and work their way up. The only problem with this was the ninja kicking and the inviting of friends and guildies caused the newer people to be pushed further and further down the list until they got sick and tired of the nepotism in the list group and joined me. It helps to have people that can explain the strategy to the newer people so if you have a kind enough heart please stay with your group after you get the mount to explain it to the newbies. Good luck on your fabulous wolf mount! So, myself and 30 people (many of which had recycled many times over after their turn was up), were able to do an accurate study of this drop and how it basically works. Firstly, the spawn time is from 5-30 minutes in length, though it seems to favor the 10-15 minute spawn. We also found he seems to spawn quicker when no one is around, though it's not a 100% fact. Secondly, the mount does NOT drop in personal loot, and is a sellable 1-drop-per-kill item. Having said that, and spent well over 8 hours getting 50 people+ their mounts until patch time, we used the system of Master Looter based off when people arrived in the group. Everyone not only waited their turn- had to- but the majority helped out long after they got their mounts. First, you want at LEAST 15 people of higher level to keep the tag and overall kill him. Note: This mob 1-shots you if he hits you, so we all used whatever agro-dropping abilities we had to shake him. Ultimately, you don't need healers or tanks because again he 1-shots you if he hits you. However, how we accomplished 40+ kills in only 7 hours was because we had multiple hunters with repeatedly revived pets, and multiple people kiting when they had the agro with speed-enhancing abilities. Now, he runs fast, but rogues can outrun him with their speed boosts, as can druids. Kites and other such escape-tactic items also helped to keep deaths low. For dealing with his adds before fighting him, we had one priest use their MC on 1 add each, forcing Non to kill each one and reset. Upon fighting he third dog, we lured him up to where the small rocky arch (it contains a small jump for garrison supplies). Be sure to nab him while he's fighting the third MCed dog, because that's a free 6% hp taken down for the fight. The important part is fighting him AWAY from the other wolves! He uses an ability which calls all of them to him, and it is a buff that lasts 10 seconds or so after being casted. Pop a heroism or time warp right when he reaches your group and just go at him! Deaths will happen, its hard to avoid, though again with multiple hunters and kiting people, it was brought down to about 3-5 deaths per kill. NOTE: This group stayed together for a total of 8 hours, and constantly swapped out for more people when others left. No ninjaing occurred as the order of loot was based off who joined first, then next, etc. It was not easy to find such a group, but just remember to keep trying and all that hard work is for a mount that you can either sell or keep! We also originally did this with the rumor going around that the rate would be hotfixed to a 2% drop rate. Whether it becomes true or not in the future, over 50 people gladly waited in line and murdered this wolf repeatedly to make sure it didn't effect them. Happy hunting! Lucidrian and I two-manned Nok-Karosh for this drop today. Not shown, Lucidrian taming and releasing the two adds prior to the final pull. I started out with a group that had around 15-17 people. After many hours, we became 10 then 8 people. By then, we had our system worked out. DK's are great to have as their armies do make the job of killing Nok much easier but as we proved in our home stretch, you won't fail without one in your raid. Having 2 hunters in your group is very important. They can tame the Garn Nighthowls (the adds) surrounding Nok and it won't affect the respawn time. Some things to note, 2 of the adds are linked to the boss - the ones on his front left. The hunters should tame those simultaneously first off. Ice trap, tame and having Deterrence going so when the boss comes for you, there's a fighting chance - Feign Death and win! One hunter will more than likely die on that pull. The three other adds around him just ice trap and tame. Of course, you'll have to abandon your new acquisitions. After that's done, the kiting method of killing Nok is best. It's not particularly a fun fight for melee. I did notice that Crippling Poison didn't apply onto the boss, even with Shiv. However, there was no mention of Nok being immune to that poison in my combat log. Find something to amuse yourself with between kills - Netflix, homework, chores, exploring the area, pet battles. Here is how to turn him into easy mode. Req: least 2 death knights 4 hunters "with empty pet slots" and 2 more classes that can perform CC "polymorph, etc." and anything that can boost DPS, 11 people in total minimum or wiping is too easy. 1.CC 4 "adds" next to him and the 2 on the left a bit away. Frozenknight - Hellfire, 90 kills under the belt. He has some adds around where he spawns, so make sure you have some CC. (about 5 wolves, they will almost one shot you, so best just to cc.) Also, he one shots you and can't be tanked. Best just to bring dps because the damage is too much to heal. The best strat is to just run like hell when he fixates you. Soif du tigre is the greatest talent here for any monks to help out other classes, like warriors. (Plume angélique is pretty nice too if you can line them up right.) Good luck! This mount has just been ninja'd from me for the 4th time today. Is it still worth it? I got this mount around 11:45 pm. Finally got it on my 7th attempt with a great group! Nov. 21 patch - Garn Nighthowl groups are now Greed only, no master looter! It's slightly bigger than the Grogneur apprivoisé I've realized, which means that there's less "bobbing" or how you would put it from the new wolf running animation when compared between the two. People seem to be successfully selling them for between 10-20k gold. just a thought for people who want to sell the mount. Neat little thing I noticed. I am a hunter. I have a wolf pet. Whenever I am mounted on this with my wolf pet out, my wolf dances. Entirely unexpected and entirely adorable. Just watched a new tactic being implemented in a group as small as 3 people, 1 priest and 2 hunters. One hunter sat on the rock formation at the top of the hill north of Nok's spawn, at the furthest tip. The other stood beside the rock formation. They were using a turtle pet to taunt Nok back up the hill while the hunter at the bottom did all the dps, which would aggro Nok back to him, then use the turtle to taunt off again. This would cause Nok to run up and down constantly, never reaching his current target, though coming very close on a few occasions, but was stopped with deterrence or feign death. The two hunters successfully killed him, along with some other stragglers that showed up. I wasn't part of said group and so am relying on my observation of the fight but it seems to be a legitimate strategy now. TL:DR, if you have 2 hunters, get them and go take Nok down a few times. Edit: For the initial pull they were using a priest with Dominate Mind to take one of the Garn Nighthowls for initial damage, then the Priest would Body and Soul up the hill for the hunters to take over. He can be kited back and forth with as little as a raid of 10 people. Keep him closer to the graveyard so people will have less distance to corpse run. *Beware of rez timers when releasing if hes near death. Currently, the easiest way (it was for me at least) to farm this mount is to abuse the group finder. The spawn time for Nok is reasonably lengthy (10-25 min), so waiting around for 6 attempts is going to take you around 2-3 hours, maybe even up to 7. To avoid this wait, just find groups in the custom PVE group finder. Some days there are quite a lot of groups taking him down, at least there were a lot yesterday. You can find a group, kill him, take your chances in getting the drop. If you don't succeed, just queue up for a different group in a different realm (where he will be alive, no respawn timer). Using this method, I got the mount mount of my 5th try, after around 25 minutes. Been farming this mount for a week now, and finally got it today. All I can say is, join a small group. I'm fortunately a hunter, and am currently very wanted in many groups according to the Premade Finder, along with Death Knights for their Army. From there, weed out any dishonest people and/or ninjas, and just consistently farm. I was in a group of four to five people, and we ping ponged Nok with me and another Hunter, 2-3 dps, including one back up Hunter in case we slip up (which we often did), and everyone got their mount fairly easily while realm hopping. All in all, perhaps get a group of trusted friends to make it a little easier, and just list from there. Everyone should stay and help out until everyone has gotten the mount at least once, unlike some large free roll groups where some win the mount 2-3 times and others don't at all. I strongly recommend 3 hunters, 2 to ping pong and 1 as back up (or someone with a taunt until the hunter can rez), and 2 dps to make it faster. Something you should remember: random list groups/large list groups rarely to never work out, and free roll groups all depend on RNG, which can either greatly work in your favor, or more commonly make you QQ at those who are lucky enough to get it multiple times (which I did until I learned my lesson). So basically: get a small group of trusted friends. 2-3 hunters/2 hunters and a taunter just in case. 2 more dps. Ping pong Nok, list until everyone gets it. Realm hop. GG. Trying to get this mount is what turned me off of WoW. Several hunters (me included) were crucial to remove (empty pet slot) immobilize (freeze trap) the adds until Nok could be baited away, when we run to help to kill it. For those that likes old mythology, like me, this is probably based on Garm. Garm was the dog that guarded the gates Hel in the old Norse mythology. It is said to be the best of hounds and in the last days, he will break loose and battle with the mighty Tyr and both shall die in by each other's hands. I'm on one of the TW realms, but I think it might be the same for US/EU. It seems that when you put this item onto the auction house in-game, you cannot find it in the web auction house or the mobile auction app. Does anyone find the same issue? No longer the biggest wolf mount. They've adjusted all the wolf mounts size. FOR SHADOW PRIEST 660+ IL! Does this mount not count for the achievement Mount Parade ? I just got Garn, learned it and noticed I was still stuck at 188. "Garn" is Australian for "go on"
Is this mount somewhat bigger than the other Wolf mounts? Looks like with the new 5 tag system, only the 1st 5 people to hit him get will get credit/loot. Killed him for the first time today and got an achievement .Anyone know what's up with that? This is mabey one of the easy gold farms there are afther volatile air/life. I am posting the Garn Nighthowl for around 2500 gold. It will sell almost 1 hour afther i post it, u can also post it for 3000 gold but it wont sell as fast. Now patch 7.2.5 came out this rare is easy to solo for an item lvl 850. I say on the Horde side it will sell for less, there garrison is closer than the Alliance. Also this is one of the few Wolf models Alliance players can ride. Now we cant use server hop anymore the prices are going even higher. Also low populated servers, will less people farm this rare so u have a higher chance of getting the mount for selling on the AH. Also the fight can be longer than 2 minuts. "Les garns sont les plus féroces prédateurs de Draenor et chassent toujours en meute."